This article will review how to log in to your Dashboard, and how to get to your website from there. 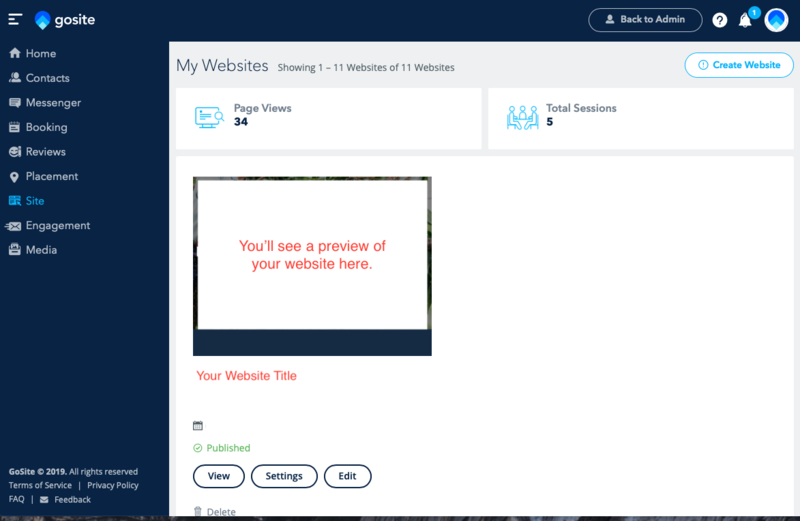 In order to view your demo website, you'll need to log in first. You'll also need to log in to be able to send out review requests, update your Booking and Contacts, send messages, and more. This article will provide a quick overview of your dashboard, how to log in, and how to view your demo site. 1. First, go to cloud.gosite.com. This is where you'll log in to be able to view your dashboard. 2. Enter your username and password into the fields, as pictured below. Then press "Login." 3. Once you've logged in to your GoSite Dashboard, you'll see your recent activity and your available products. If you don't remember your password, click "Forgot Your Password" or call us at (858) 295-7995. 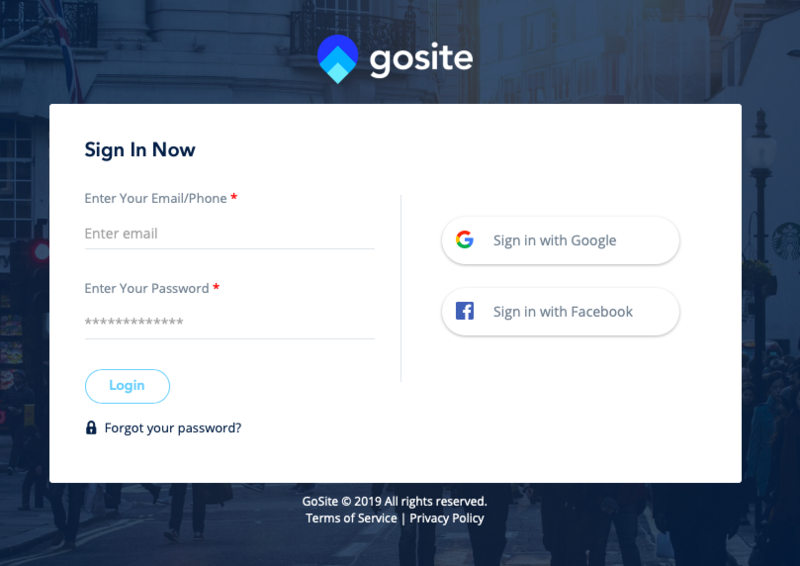 On the left-hand side, you'll see the product suite that you have with GoSite. To learn more about each product, view the articles on our Knowledge Base. 4. To view your website, navigate to the "Site" tab on the left. You'll see a page that looks like the one below. 5. Click "View" to view the website as it will look to your clients. Click "Edit" to make changes to it. To learn more about editing your website, click here. And there you have it! You're now logged in; feel free to click around and explore your product suite!